William Faulkner once wrote, “Clocks slay time…time is dead as long as it is being clicked off by little wheels; only when the clock stops does time come to life.” As true as this may be, we all, at times, feel the pressure and restrictiveness of timed schedules. Waiting for a train, we may feel boredom or an anxious desire to fast-forward to its arrival time. The universality of these feelings are part of the reason why clock themed tattoo sleeves are so popular. Time has a hold on us all, and the clock is easily the most powerful symbol of this. But is there a specific reason behind people’s interest in clock and timepiece tattoos? It turns out that there are several. 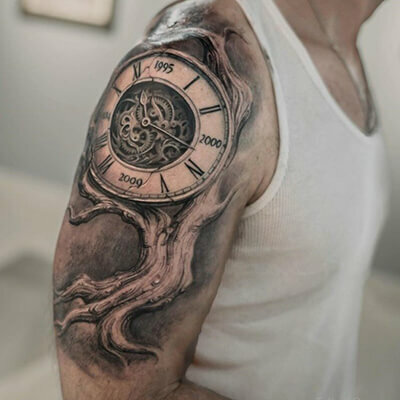 Below, we’ll go over different kinds of clock tattoo designs and the reasons behind them. In our technological age, clocks and timepieces have a retro feel that people are nostalgic for. Before clock tattoos were trending, the hourglass was in style. Both timekeepers romanticize old craftsmanship, the time before the dehumanization of manufacturing. 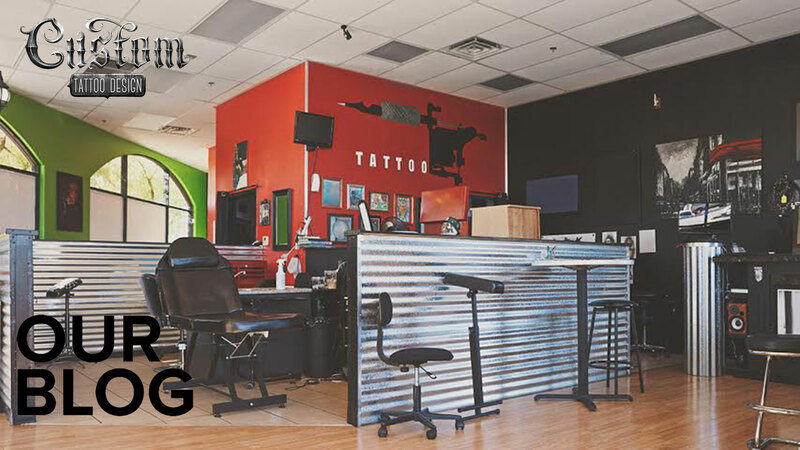 In this sense, clock and timepiece tattoos are a symbol of authenticity, which is a strong draw for many people. For a long period of time, prisoners have worn a variety of clock tattoo designs. Some have clock tattoos which show the hands frozen on their sentence start time. Others have clock face tattoo designs without any hands, perhaps to stop themselves from time-tracking. Ever since prison tattoos started, clock face tattoos have been used to mark special occasions, like wedding anniversaries, birthdays, and deaths of loved ones. Many people love to put a new spin on an old symbol, making it their own. 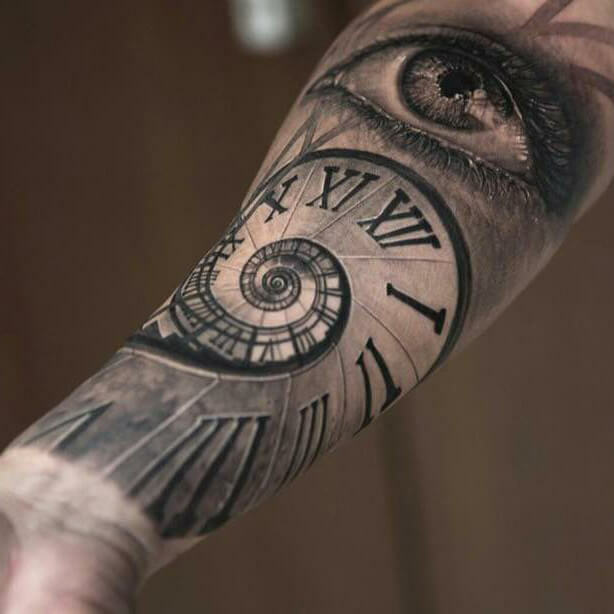 This is a recent trend with clock tattoo designs. Some people have clock face tattoo designs with watercolour splashes over them or clock faces that connect to a modern technological device. The new spin on watches isn’t just confined to the tattoo world either: some watchmakers have reversed the trend, and put classic tattoo designs over watch bands. 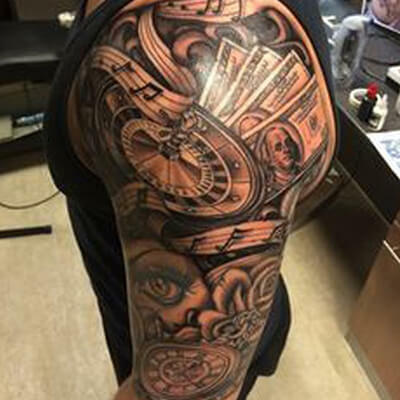 Clock tattoo designs can represent a world of ideas. Whether they stand for your love of traditional craftsmanship, your relationship with time, or your birthday, they make compelling body art, and they resonate with everyone. 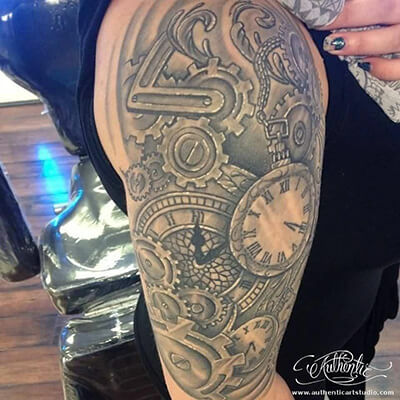 If you know about other interesting clock tattoo designs, let us know about them in the comment section below!